One of the most distressing disasters to affect the fishing village of Porthleven occurred on the eve of the annual festival of St. Peterstide. The village was already dressed with flags and bunting to celebrate this long anticipated annual event when Sunday School teachers and scholars meet and parade the harbourside and streets in a public display of their christian unity. 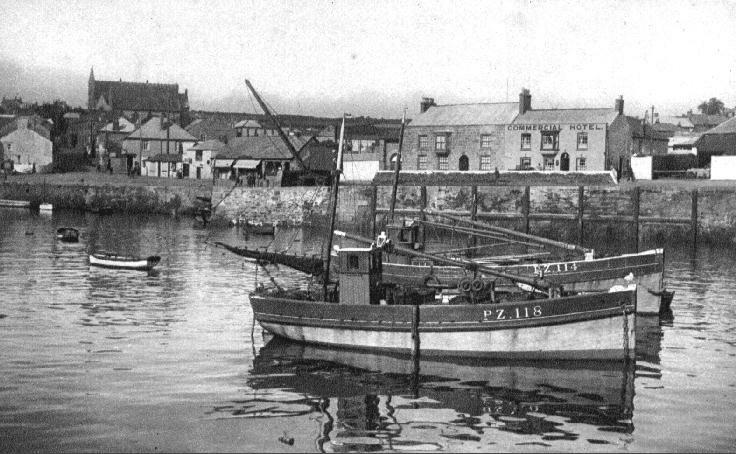 No PZ.144 – `SNOWDROP`- Joined the Newlyn fishing fleet. No PZ.121 `BIDDY` – In June 1969 slipped out of Porthleven Harbour bound for her new owners at Fleetwood, Lancashire. 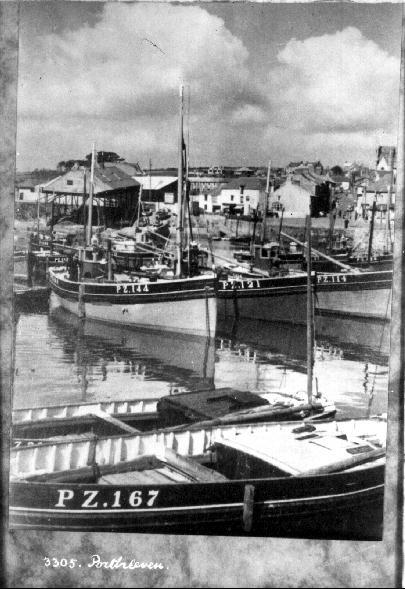 The `BIDDY` was launched at Porthleven in 1925 and was built by a local firm of boat-builders – J. GILBERT & S. PASCOE, the last firm to operate from the old boat-building bank. In the harbour fishing craft were at anchor, several dressed overall and with their burgees proudly fluttering on the top mast. All is peace, a peace that was rudely interrupted on the night of Friday, 25th June 1948. On that date a fishing family of six brothers were almost obliterated. Out of the family of Richard’s brothers, fisherman all, one only survived that fateful night. 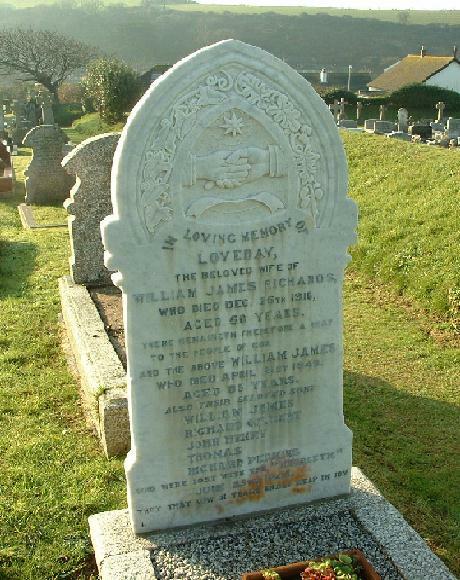 John Henry, Billy, Perkin, Ralph, Tom and Gilbert and Roy Mewton, a visitor friend, put to sea in their 25 ton fishing craft, No. PZ.114 ENERGETIC. In darkness and fog they were run down by the 7,218 ton American `Chrysanthy Star`. The little Energetic was sliced in half. There were two survivors, Ralph Ricahrds and Roy Mewton, who were rescued by the Chrysanthy Star but Mr. Mewton died before reaching land. Local rescue organisations were alerted, but despite nearby Culdrose air surveillance and lifeboat search, there was no trace of the missing crew. Friday 25th June cast a heavy gloom over Porthleven, the tragedy is still fresh in the memories of the older residents.